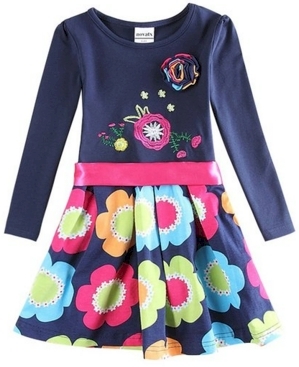 Amazon has got this Novatx Girls Princess Cotton Long Sleeves Flower Winter Dress for $9.60 to $9.99 with free Prime/SuperSaver shipping. Comes in sizes 18 months to 6 years. 95% cotton and 5% spandex.